Life’s purpose is unique to everyone. Your purpose is a combination of your skills, passions and values. It’s your mission in life, and identifying your life’s purpose can mean a hugely more satisfying life. “When you live a life you love, with people you love, doing the work that you love, you add years to your life and life to your years” says Richard J. Leider, an Executive, Life Coach and Author. When we are working, the responsibility and commitment of our work brings with it a sense of purpose and meaning. When we retire, we find that we actually miss that feeling of responsibility and commitment which comes hand in hand with a sense of purpose and meaning. One often misses the camaraderie of colleagues, the meetings, the fixed schedules, the predictability of one’s days and nights, and the socializing that goes hand-in-hand with work-related activities. Which is why it is absolutely essential that before you retire, you need to consider what will bring you purpose and meaning in retirement in order to find joy and happiness and beat the retirement blues. Remember, you are not retiring from life. You are simply refocusing all of your energy into something different –things that you have always had the intention of doing, things that brings you peace and happiness, things that could be your passion. This brings us back to the point that one needs to plan ahead in retirement. There is so much that one can do when one retires in order to find purpose and meaning in life. Remember that retirement is a journey, not a destination. Don’t over-commit – you also need to take some time to recharge those batteries and work towards small, achievable goals. Where do I belong, and what have I always wanted to achieve? Do I want to make a difference in someone’s life? Do I have a lifelong dream that I would like to pursue? Find out what activities other retirees are participating in – you could well find common ground. 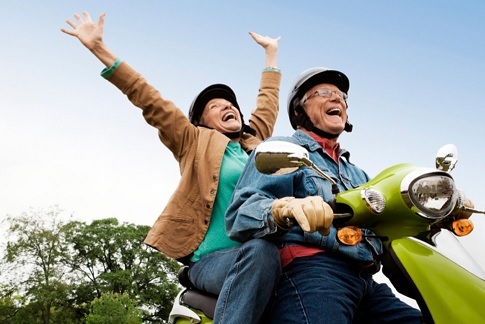 Why is Life’s Purpose so beneficial in retirement? You need a reason to get up in the morning – to be active, productive, and engaged. The benefits of finding and maintaining your sense of purpose in retirement are becoming increasingly evident. One of these benefits is continued mental and physical vitality. Dr Sara Yogev is a clinical psychologist and author in the United States. She says “Retirees who have a sense of purpose are happier. Their adjustment to retirement is better and their marriages are happier. Studies show that retirees with a defined, actionable purpose have improved cognitive function and a reduced risk of stroke. A common feature amongst people who live with purpose is that they become resilient. Christy Ingle, a Life Coach says: “People living with purpose are able to find meaning in the things that happen to them. They regulate emotions, and turn life’s proverbial lemons into lemonade”. Further research shows that retirees who live with a sense of purpose are well equipped to handle life’s ups and downs and are satisfied with life, even when experiencing a difficult day. Long-term resilience leads to better cardiovascular health, less stress and greater happiness over time. In addition, purpose leads to better relationships. In 2014, a study was done which assessed the purpose of 1,000 adults. The study found those who had a sense of purpose spent more time on relationships – with their loved ones, friends and communities. They were more engaged with families and friends and enjoyed satisfying relationships. What is the most central motivating aim of your life? Why do you get up in the morning? Many people, when they retire, make the mistake of thinking that they are retiring from something. Change your thinking, and think – what am I retiring to? When you focus on what you are going to retire to, you will discover additional benefits. Purpose will guide life decisions, influence behaviour, shape goals, offer a sense of direction and create meaning. As mentioned earlier, life’s purpose is unique to everyone. Some people might find their purpose in a vocation, in doing meaningful and satisfying work. Other people might find that their purpose is linked to responsibility to family and friends. Others might find purpose in assisting in spiritual or religious work. Others may identify a passion. Some people may combine all of the above. Think of retirement as a blank slate, which needs to be filled with something that is important to yourself. You also need to consider that retirement is a privilege that some people never get to experience, so approach retirement with purpose and intention. You have all heard stories about “John Smith” who worked all hours of the day in his working life. Retirement arrives and within a couple of months, he dies from a sudden heart attack. One of the reasons for trying to identify your purpose pre-retirement is the “Discontinuity Theory”. The “Discontinuity Theory” was identified by psychologists and basically means that if you’re not doing something prior to retirement, then it’s unlikely you will commence it when entering retirement. So if you intend to play golf regularly in retirement, make sure you start playing, well before you retire. So how do you go about finding your sense of purpose. How do you find a replacement which will fulfil you, once you’re no longer punching the proverbial time clock? Seeing your values and interests on paper helps you to crystallise your thoughts. Then rate them on a scale of 1-10. This exercise helps you to prioritize what is most important to you and can help guide you towards your essential purpose. Don’t think about retirement in the traditional sense. Refocus your life, think about how you can pursue other options and celebrate new beginnings! Join a worthwhile cause. You’ll get a double whammy benefit out of this! Not only will it do wonders for your self-esteem but you will enrich a lot of lives and be part of making South Africa a better place. Don’t neglect life-long learning – brush up on your technology skills, learn a new language, take that class you’ve always thought about – art classes, pottery, writing. Join that bowls club, hiking group or golf club. Do whatever you can, to be that interesting, knowledgeable and more educated person. In this refocussing of life, explore those dreams – all those things you’ve always thought you wanted to do, but didn’t have the time. Retirement is the perfect time to travel, visit family, host tourists in your home, write your memoirs or that novel with the half-finished plot. Some say that in retirement, your friends become more important than your family – when it comes to social activities. Families are busy with their lives, but your friends are no doubt at a similar stage to you and being sociable is as important to them as it is to you, plus they are flexible with their time. Look for new friends through new activities, clubs and associations that interest you and get to know new people with similar and diverse interests. Reach out to new people in order to form new, positive relationships. What would you like your nearest and dearest to say about you at your funeral? How would you like your grandchild to remember you? These kinds of questions can guide you towards your purpose when you think about who you are, how you are seen by others and how you would like people to remember you. Remember – it’s never too late to change! Your purpose and that of your spouse might not necessarily mesh – and that’s fine. Don’t impose your values on your nearest and dearest. Don’t force them to do what is not meaningful to them. The freedom to follow your own path is very enriching to your marriage – you’ll always have something to talk about over dinner in the evening! Once you have a good idea of your sense of purpose, you need to commit your dreams and goals to an actionable strategy, together with dates which will move you along to meet your objective. Now, that sounds like being back at work, doesn’t it?!! For example, if you want to volunteer at an animal shelter, research your options, put a timetable together in which you will visit all of the options you have researched, and set aside a few dates when you can volunteer at the various animal shelters. 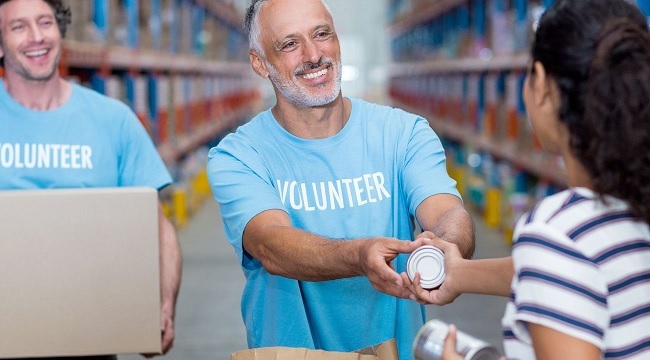 In this way, you will have the opportunity to try them all out before committing to volunteering at a particular one. 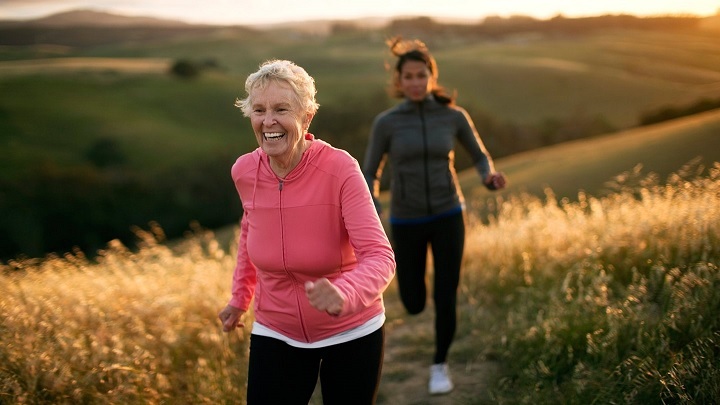 Finding your sense of purpose comes hand in hand with maintaining good health, which is paramount to your success as a retiree. In addition, take a preventative approach to good health – don’t wait until something is wrong to go for that check-up. Have your regular annual health checkups, and look into ways of improving your overall well being. Get into shape with a healthy diet and regular exercise. You can look at walking, swimming, yoga, pilates and exercise routines. The better you feel, the more you will enjoy your retirement. Retiring from a job doesn’t mean you are past your sell by date! If you think and act old, you will come across as being old. Be energetic, act like you’re young and enjoy the time you have on your hands. Age is an attitude and attitude is everything. You will become an inspiration to others around you. I know an 86-year old great-grandmother, who chose to zipline on her 85th birthday with her family. Dee is one of the most interesting, energetic, inspiring ladies that I know. Her age has not held her back. Throughout your life or even through part of our life, you have most likely worked with a Financial Advisor who has navigated you through the complex and sometimes emotional investing and saving choices in your financial life. A Life/Retirement Coach can do the same, and can really help people with their personal choices faced before, at or during retirement. A Life Coach will help you before and during the transition into this new, exciting phase of life. Remember, you could spend up to a third of your life in retirement. Ask you tough questions about life and death, regrets or forgotten dreams. Assist you in finding humanitarian efforts, entrepreneurial adventures, or even artistic pursuits that you hadn’t considered before. Help you find value in how you spend your time. Contact You’ve Earned It for a list of recommended Life/Retirement Coaches. Finding and maintaining your sense of purpose is not necessarily easy. It does demand discipline, takes time and commitment, and needs practice. 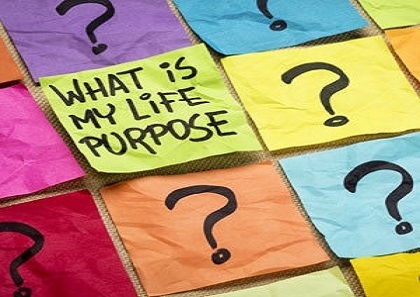 All you need to do to find your purpose and meaning in retirement is to maintain a positive attitude and zest for life, explore your dreams, increase your knowledge, join a worthy cause, stay in shape, prioritize your health, plan events, increase your social circle and refocus your life. And then you’ll have that lightbulb moment! You can do it! And if you need help with this, consult a Life/Retirement Coach. Whether your purpose in retirement lands up being mentoring, higher learning, travelling, gardening or helping others, you will, in all likelihood, have to make some sacrifices to make it a part of your life. But one thing is certain, if you are willing to pursue that sense of purpose and devote your time, energy, and resources to fulfilling purposeful activities and interests, your retirement will be vastly rewarding. The article on finding your purpose was absolutely brilliant! Well done! Thank you Jill! your comments are much appreciated. Thanks for this article. Very informative. It is an even greater challenge when you have absolutely NO start-up capital, and a pensioner of 67 earning only a small pension. It is degrading to be told you are too old to get a job and that one’s skills are not as sharp anymore, as we golden oldies still have so much to give….many many years of experience and knowledge going down the drain because of the negative mindset of society. It is disheartening to have your CV lying at innumerable employment bureaus, to have your advert seeking a job ignored by the many businesses you drop it off at, to be told that BEE is foremost which means we whites no longer have a chance of getting work in South Africa. How is one to live when you have no family left at all and no other income except a small pension, with living costs continually going up year after year after year? Starting a small business is a wonderful initiative, but without the required capital or a willing businessman to sponsor one, one is pretty much stumped. This really found resonance with me! I lost my husband after 52 years of a brilliant marriage to a brilliant man. I was devasted, but now, a year and a bit later, I am beginning to find my feet again. I sold my house and bought into another Lifestyle Village which has given me another focus albeit with sadness at having to do this on my own and leaving so many memories behind. I would like to go back to work to feel validated again but at the age of 78 will be difficult. I still do two gym classes a week, have great people skills and a lifetime of experience. Once I have moved, I will pursue this goal until I find somewhere, where I can be part of life outside of my new home. Looking forward ti the challenge! Don’t give up, all you oldies out there! Keep going! Thank you for your lovely message and we are glad that the article resonated with you. A really nice, heart-warming and motivating message for YEI readers.